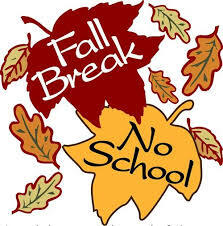 Fall Break for all GMS students is Friday, October 6th through Tuesday, October 10th. School will resume on Wednesday, October 11th. This also marks the beginning of the 2nd 9-week marking period.